Also known as "Fun Stuff." When we find something that we like, it is picked up, dusted off, and placed in the Pocket. We drop it in here because it amuses us, and might amuse you too. Trivia, quotes, desktop wallpapers, etc. The Harpo Speaks! Project: An evolving page which includes researching places, period games, and people who were mentioned in Harpo's autobiography. Help needed! Warner Brothers vs. Marx Brothers: Tom Ruegger's "Animaniacs" compared with the Marx films. Created (and colored) by me. Please do not claim that you made them or post them on a website, be nice. Post a link to this shabby site if you are able to. Thanx! The highlighted titles can be bought online. I've placed a + next to the ones I own or have seen. Red Skelton Christmas Show: Freddie & the Yuletide Doll - Skit: Red Skelton and Harpo find each other in the middle of the war, each on opposing sides. Instead of killing each other, they decide to sit in the foxhole and play a friendly game of cards. Soon, their officers find them and command Red and Harpo to shoot one another. I can't tell you how it ends because I've never seen it. +Red Skelton: The "Lost" Episodes Vol.2 - Skit: Harpo plays the fitting role of George Appleby's (Red Skelton) guardian angel. When Harpo is sent down to help George with his marriage problems, George doesn't know what he is, so Harpo pulls one panto gesture after another, ending it with flapping his arms like a chicken (ie. angel wings). This prompts Red to improv., "Which one are you doing, Gertrude or Heathcliffe?" Harpo doubles-over laughing silently (and you can see that he wants to burst out laughing but must prevent making noise because of his mute character) which makes Red double-over at the sight of him. It's a great moment to see these two panto geniuses crack each other up. Harpo the guardian angel plays practical jokes on Red's Appleby character, and is foolish, cute, child-like, and funny, which is all-around everything we expect Harpo's character to be. Harpo doesn't play the harp in this episode, but he does a wonderful, long panto skit. I hope to find an online place which sells this DVD, and scan the cover so maybe you can find it yourself. +Groucho Marx: You Bet Your Life - 12 shows. Not only does it have great moments from the tv series, but also has Harpo and Chico doing a commercial for Prom Shampoo (watch for it at the end of the 3rd show). A few great moments feature an "angry, bug-eyed fellow", a painter named "Yuk", and an old woman who threatens Groucho to put out his cigar while she's onstage. Absolutely crazy. 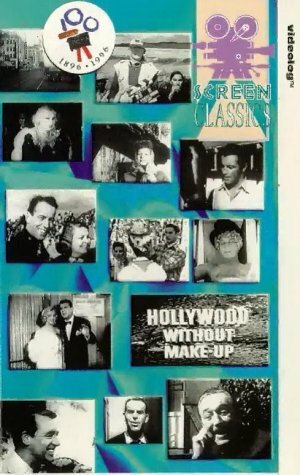 +"Hollywood-Without Make-up" - features Ken Murray's bootleg footage of his travels around hollywood in the 19. Shows Harpo and Groucho in soapbox cars racing down the path against a boy, Hearst Castle in San Simeon (where Harpo visited), and a poolside party where Chico, Harpo, and Groucho lay back in beach-chairs asleep in bathing shorts, wigs, hats, and grease-paint moustache. To reach the harp pedals, Harpo would wear a ballet slipper. The movie title "Swordfish" was named after the quote/scene in "Horse Feathers". Woody Allen let his marxism take over some of his films. He named the title of his film "Everyone Says I Love You" (1996) after the song in "Horse Feathers" which the melody of the song can be heard near the end of the film. The characters also sing a version of "Hooray for Captain Spaulding" in french, and hold a "Groucho Party", where all the people who attend dress in suits and groucho-glasses (VERY amusing!). There's also a big christmas tree at the party with Marx Brothers ornaments decorating it. In "A Night At The Opera", "A Day At The Races", "At The Circus", "Go West", "The Big Store", and "Duck Soup", the music concerning Harpo was recorded before filming the scene. Facts that give it away are that Harpo reaches for the wrong strings on the harp, he plays at the wrong speed, he doesn't use the harp pedal, or he runs out of high-note strings as the continues to play higher notes. But for films like "Duck Soup" and "A Day At The Races", the piano strings do not make the same sound as a harp when plucked. Though, it is unknown to me whether the other films were recorded beforehand, or if Chico ever recorded his piano-playing before the scene. The "Love Happy" DVD has extra footage of Harpo's torture scene and a few of Groucho's lines that were cut from the movie, but the case cover doesnt indicate extra footage. Danny Devito is making a movie about the Marxs lives, called "The Marx Brothers". It first became known on the Ducklist in 1999, and IMdB.com says the movie is due to be out in 2005! We'll see! Singer Jonathan Richman recorded a song about Harpo, Groucho, and Chico, called "When Harpo Played His Harp" (also called "Harpo En Su Harpa"). Chico's trademark hat was green. The Warner Brothers studio couldn't get the Marx Brothers, so they created their own and called them "The Ritz Brothers". What is ironic about this is that WB tried to start a lawsuit with the Marxs because "Casablanca" and "A Night In Casablanca" were released the same year and WB wanted the Marxs to change the films name. Guiness Book of World Records has a record for "the most people at one time wearing Groucho Marx glasses", in which people have to sit in one area for 20 minutes wearing black glasses with black fuzzy brows and moustache beneath a big rubber nose. In the past, the books have shown the record being held three times. 522 people worn the glasses at first, and then were defeated in 2003 by East Lansing College in Michigan, holding the record at 800 people, most who were teenagers who had no idea of who Groucho was. In April 2004, Marxists flocked to Warren, PA to pay a tribute to Groucho by defeating last years record, bringing in 1,293 people! One of the people was Groucho-impersonater Frank Ferrante, who also performed at the GrouchoFest. They may try to break their own record next year. In an episode of the TV cartoon "Recess", the kids go up to a secret door that looked just like the one in "Horse Feathers". Someone opened the peep-hole and asked, "What's the password? ", whereupon the kids naturally replied "Swordfish!" In his book "Harpo Speaks", Harpo says he was born in 1893. At IMdB.com, it says he was born in 1888. In reality, Harpo was born in 1888. We believe that either Paramount or MGM told the audience that the Brothers were approx 10 years younger (maybe to convince the crowds that it was morally safe for young men to behave silly, rather than older men .. who knows for sure). If you're ever in South Carolina, you might run into a few restaurants called "Groucho's" that has a sign with a cartoon of a walking chubby man in glasses, hat and Groucho-esque haircut, smoking a cigar while carrying a big hamburger. The restuarant wasn't named after Groucho himself, supposedly it was named after a man who earned this nickname. The character of the burger-carrying man might suggest that he was given that nickname because he looked like Groucho. If you can't get to SC, you can order shirts, salad dressing, and other stuff at their website. With the help of computer technology and a voice actor, Groucho was put into a Diet Coke commercial in the 90s. Paula Abdul "talked" with him about Diet Coke and then she went to dance with a technicolor Fred Astaire who also was put into the commercial using clips of his films. If anyone has this commercial and can put it on the computer and send it to me, I'd love to see it. According to Imdb.com, the Marx's father, Sam "Frenchie" Marx, was uncredited as a "passenger on the boat" and also the "man at quayside upon arrival" in their film Monkey Business. He's sitting on the crates behind them after they're carried off the ship. He's wearing a white hat, dark suit, and you can see Frenchie's infamous smirk beneath his moustache, standing like the proud father that he was. Gummo invented the "screw clamp", a clamp that tightens and loosens on rubber hoses, such as the one attached to the radiator hose beneath the hood of your car. In Miami, Florida, there really is a town called Coconut Grove! In the history of Coconut Grove (another good site is here), the first settlement was in the1830s. In 1882, the first hotel was built ("Bay View House", later called "The Peacock Inn"), a big farm house that welcomed travellers and visiters to stay there. Comparing the Peacock Inn to the hotel in the film, Groucho mentioned they had a third floor (which could be true since the Peacock Inn had extensions built), and the Inn was run by two English brothers (like Groucho and Zeppo). So I believe that the script was supposed to take place in the 1800s, even though the casts' costumes were of the early 1900s, because photos prove that it once did look like that in the 1800s, when Harpo said he was surprised when visited Miami because looked nothing like the film sets. Today, this "trendy" city has changed from fields of palm trees to a full-fledged city with stores, stage-theatres, old-fashion neighborhood houses (from large "Gone with the wind"-like homes to tiny 1950s beach homes) is inhabited by visiting tourists, celebrities, and the students of a nearby college. On the map of Coconut Grove, I didn't see any of the streets (or rivers or viaducts) that Groucho mentioned on his map, but it does show the struggle of the locals trying to save their city from being run over by Miami's modernism. The Grove Isle Resort is a hotel that looks like a remodeled lavished version of the one in "The Cocoanuts", the lobby with it's curved desk (open at the end) and the circular couch, also the beach, lounge-chairs, and many palm trees which we see in the beginning of the film. Though, I doubt that Groucho would decorate his lobby with large gold palm trees.. I don't know whether most of these are fact or fiction, but I post them here because you, too, may have pondered these questions, likenesses, differences, etc. Coinsidences: Was the title of the harp song called "Harpo's Bizaar" (film "The Big Store") intended to be a pun on the title of a magazine called "Harpers Bizaar", which Harpo's friend Alice Duer Miller was a writer for? Stunt Double: In "Animal Crackers", there is a scene where Chico talks to Harpo when the lights are suddenly knocked out, and Harpo attempts to climb up a laddar and has to hang from the curtains when the laddar is swept from beneath his feet, leaving him to dangle until he eventually finds the mantle ledge. It is impossible for Harpo to hang onto the curtain using only one hand while using his other hand to make those loud whistles, plus his whistling is out-of-sync with his jerking movements. Here is my guess as to what happened: The camera cuts when Harpo begins to climb the ladder, maybe giving the real Harpo time to duck behind the couch so that he could do the whistling, while his double is sent up the ladder to do the movements. After he gets on the ledge and the dark scene is over, the camera stops, the double and Harpo switch places, the camera goes on again, the lights come on, and the scene resumes with him climbing down the laddar. Question: In the scene of "A Day At The Races", Chico convinces Harpo that he will give him "an apple'a pie and a'beautyful nurses", and Harpo then agrees he will go to the doctors. As they begin to walk out of the room, Harpo turns around to look off-camera (and off-stage) and he waves happily. Who is he waving to? Stand-In: Also in this scene, when Groucho talks to Margaret Dumont in the dark, he doesn't match the words that are being said (nods his head at unneeded moments, talks when his lips aren't moving, doesnt talk when his lips are moving). In this scene his lines are short and hurried, and the shadowed figure seems to make big gestures that don't match up. Stand-In: Another strange scene from "Animal Crackers" is when after Harpo offers the lollypop to try to coax the woman out of the room. He peeks around the corner to listen to a conversation about one of the paintings being hidden in the room upstairs. When the people move closer to him, he dives to the floor and crawls underneath the dresser and listens from there. If you look at the person under the dresser when they show him under the dresser and the two people talking, the persons face does not look like Harpo's and he's wearing a black curly wig instead of the blond wig. a) Animal Crackers: "Excuse me, a caterpillar captain!","OHHH! ","It must've been the caterpillar that frightened him!" b) Monkey Business: "Afraid? Me? A man who's licked his weight in wild caterpillars? You bet I'm scared!" a)Day At The Races: "Getta yo' ice creeaam! Getta yo' Tootsie-Frootsie ice'a creeeaam!" b) Love Happy: "Awww. Ice cream! Tootsie-Frootsie ice cream!" If there's anything that you would like to add to any section of this page, PLEASE post it on our message board and I will post it here. Thanks!